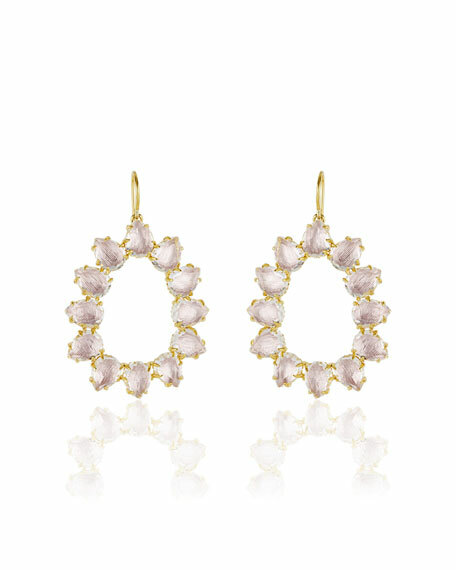 Caterina small frame earrings by Larkspur & Hawk. Ballet foils over white quartz open drops. For in-store inquiries, use sku #2661144.